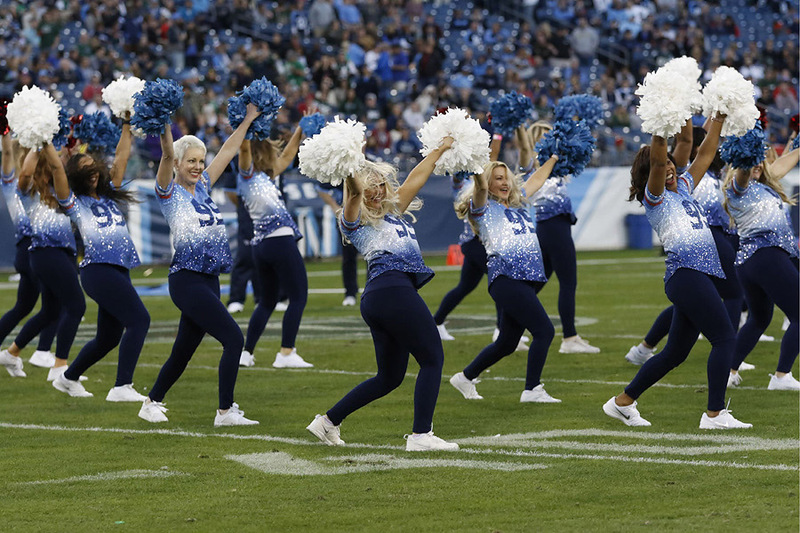 In Week 2 of the NFL Preseason, the Tennessee Titans played the visiting Tampa Bay Buccaneers in another “practice” game. The Bucs stormed out to a 20 – 7 half time, largely due to two Jameis Winston touchdown passes. 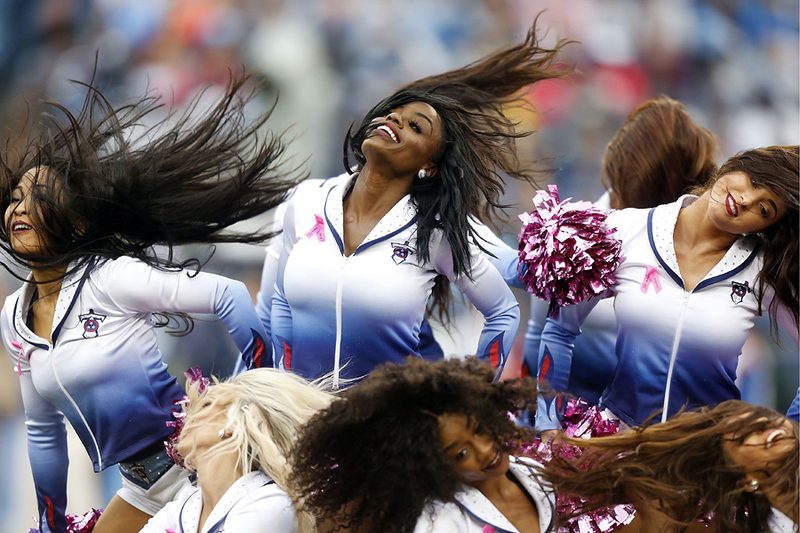 And then the scrubs came into finish the game…that’s the nature of preseason. Final score, Bucs -30, Titans – 14. 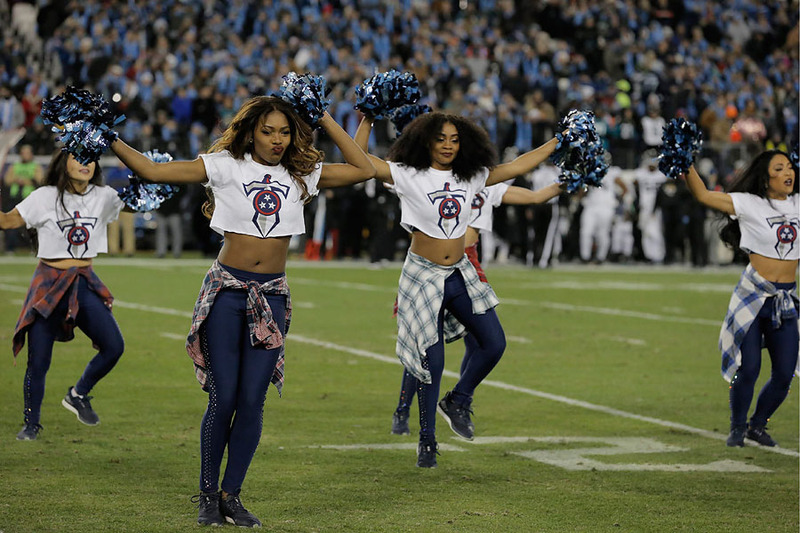 Perhaps the most noteworthy aspect of this game, it was our first opportunity to see the Tennessee Titans Cheerleaders in action! 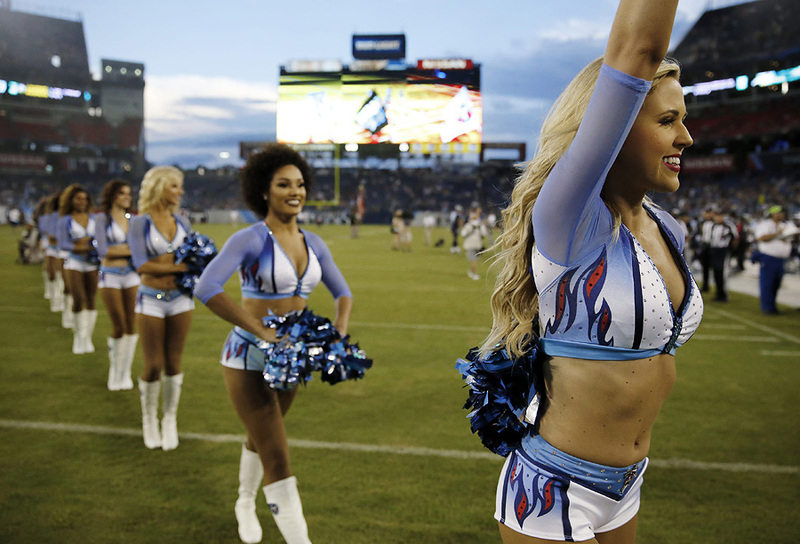 Click here to view the Titans’ game day gallery. 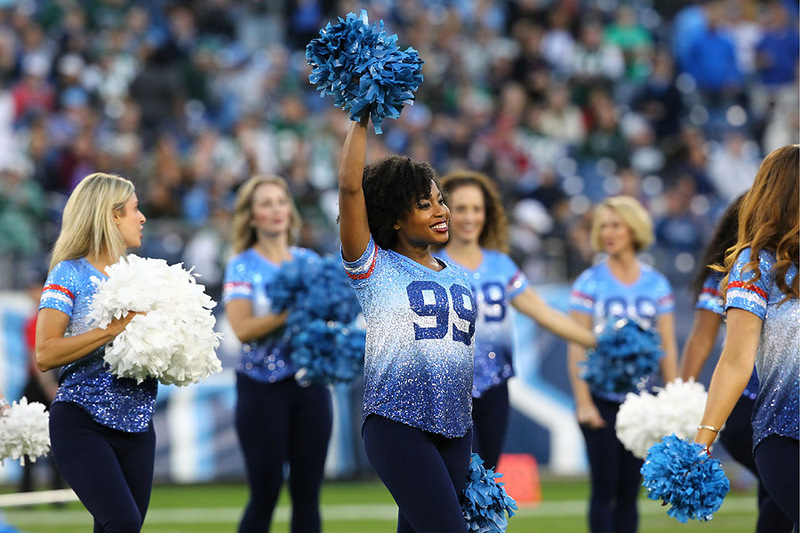 This past weekend, the Tennessee Titans Cheerleaders held their final auditions at the Wildhorse Saloon in Nashville and they have posted a super huge gallery of images from the festive event. Click here to view the images. 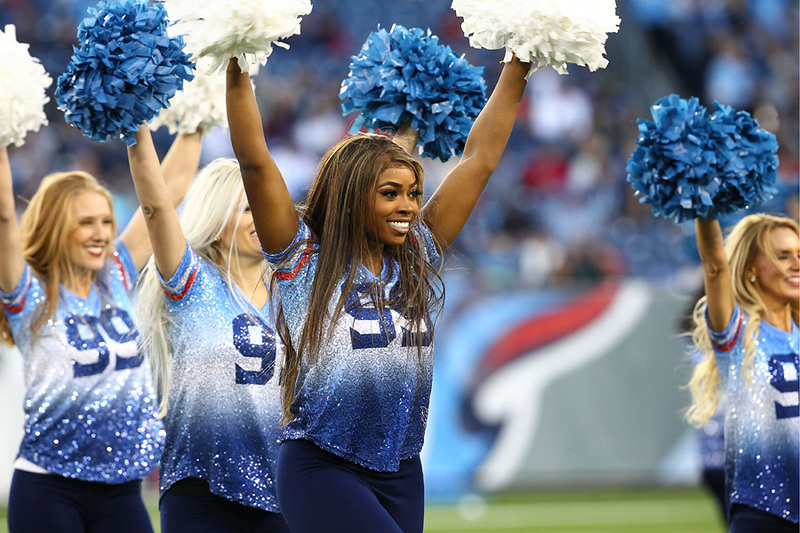 The Tennessee Titans held preliminary auditions for their 2018-2019 cheerleading squad and they have posted a gallery of images from the event. Click here to view the gallery. 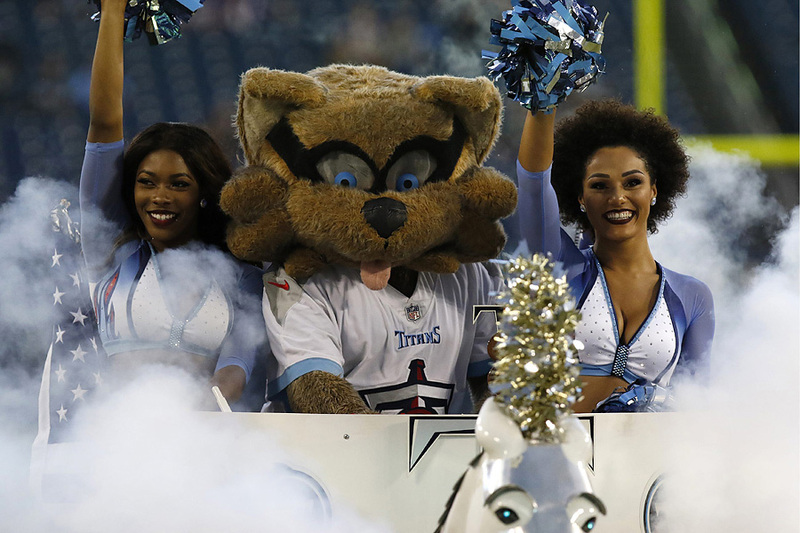 From Jackie Pfeiffer Cheerleaders and Mascot Entertainment Assistant, TitansOnline.com. 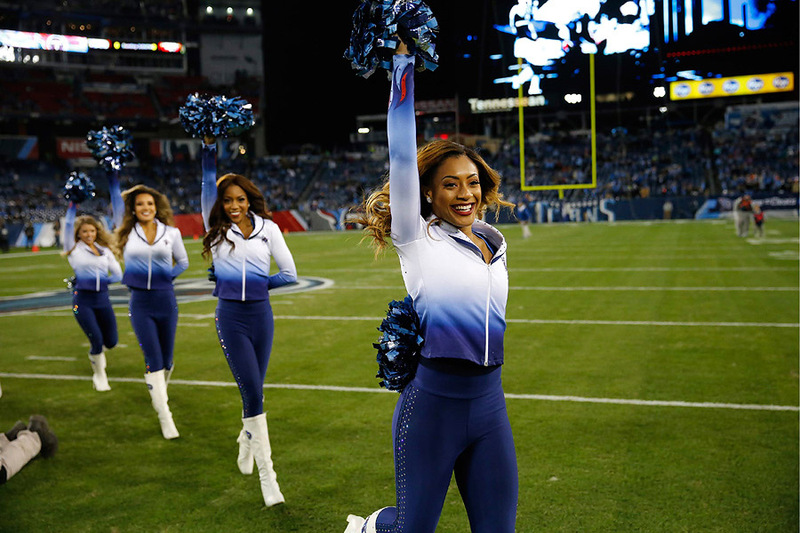 NASHVILLE, Tenn. — The Tennessee Titans Cheerleaders are partnering with ProTour Productions for the sixth consecutive year to provide the United States Military with both cheerleaders and mascots as a part of multiple military entertainment tours. 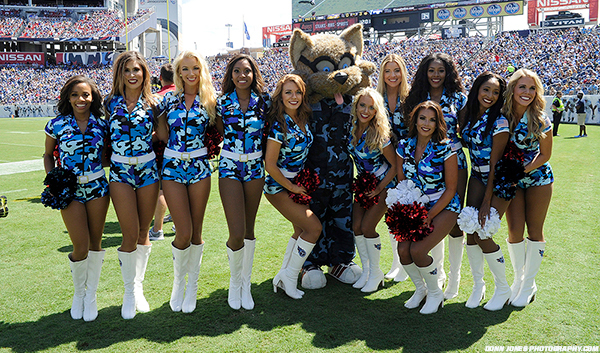 These cheerleaders and mascots will travel around the world to American military bases in early February to celebrate the NFL season.ach year ProTour Productions sends NFL cheerleaders and NFL mascots to visit American military personnel across the globe to help make their NFL season a bit brighter. 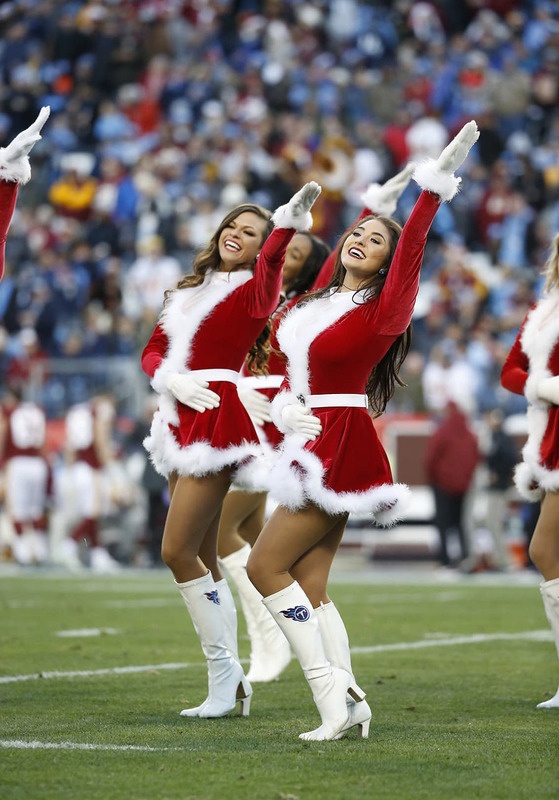 This year, ProTour Productions will be sending over 25 cheerleaders and mascots to Australia, Singapore/Diego Garcia, Honduras/Greenland/El Salvador, Bahamas/Curacao/Cuba and Korea. 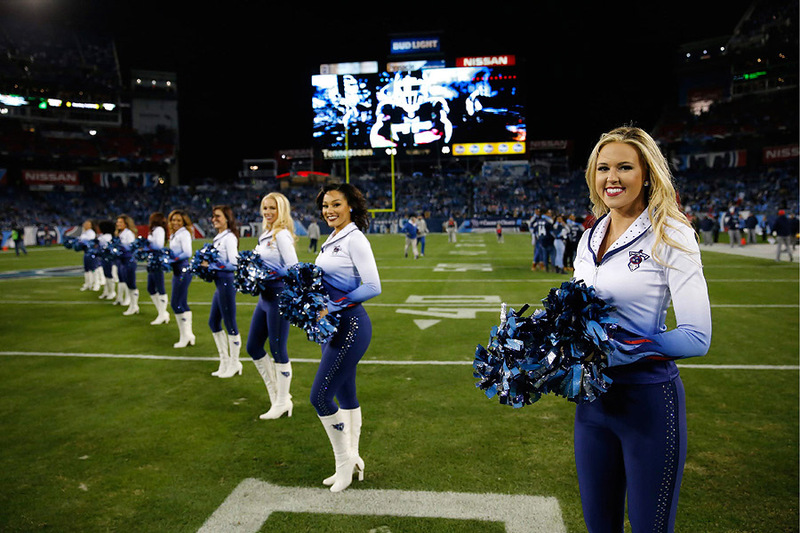 Of those five tours, the Tennessee Titans will have a number of representatives traveling to South Korea. 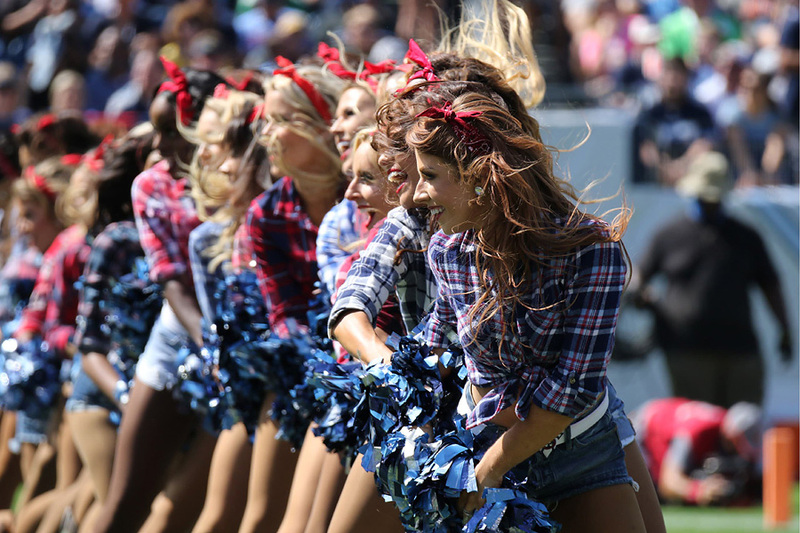 Each year ProTour Productions sends NFL cheerleaders and NFL mascots to visit American military personnel across the globe to help make their NFL season a bit brighter. 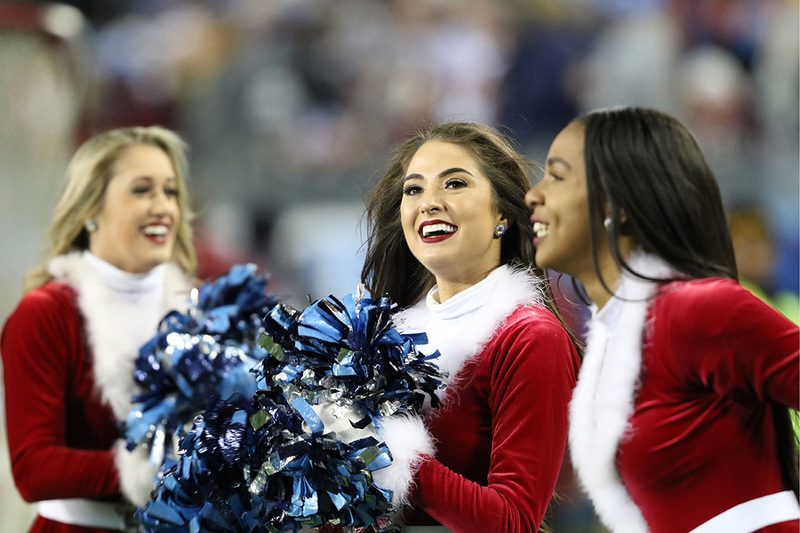 This year, ProTour Productions will be sending over 25 cheerleaders and mascots to Australia, Singapore/Diego Garcia, Honduras/Greenland/El Salvador, Bahamas/Curacao/Cuba and Korea. 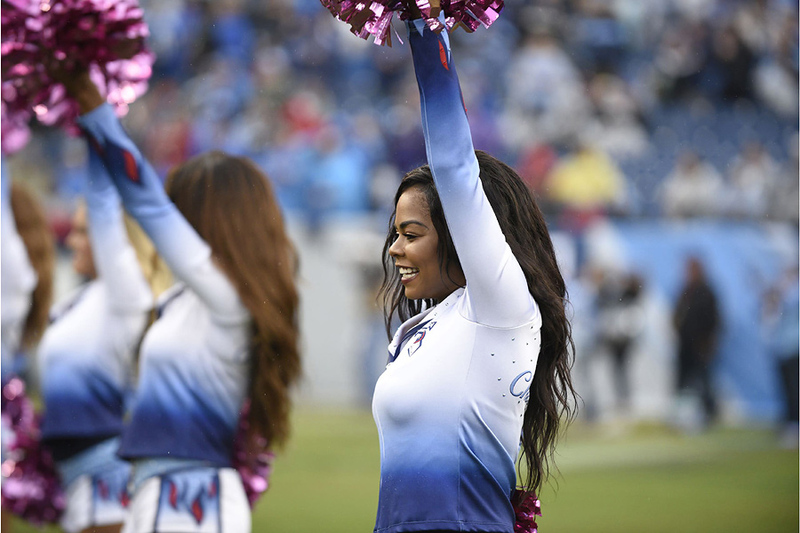 Of those five tours, the Tennessee Titans will have a number of representatives traveling to South Korea. 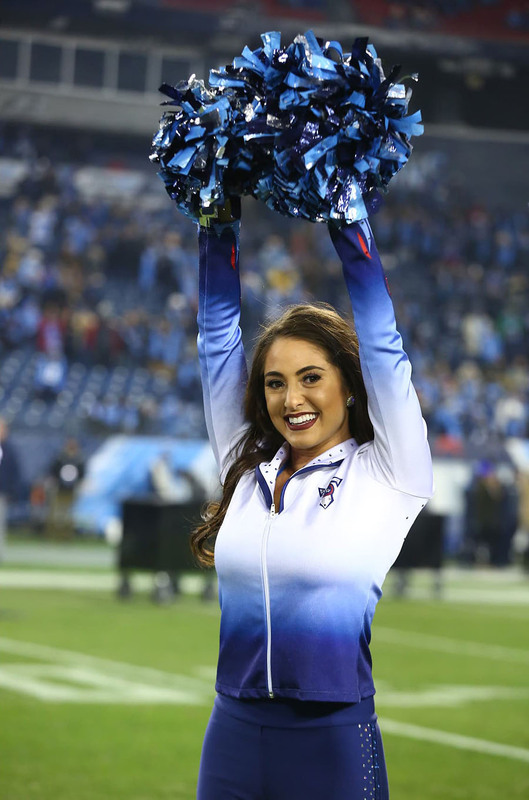 This will be TTC Captain Hannah’s first military tour and she is thrilled to travel with fellow cheerleaders from the Falcons, Broncos and Bengals to South Korea. 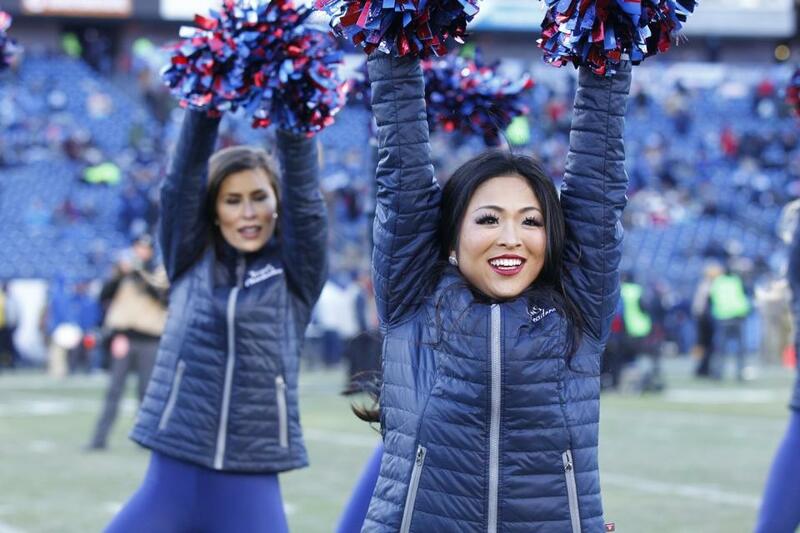 TTC Captain Evony also will be joining Hannah on the ProTour Productions military entertainment tour to South Korea. 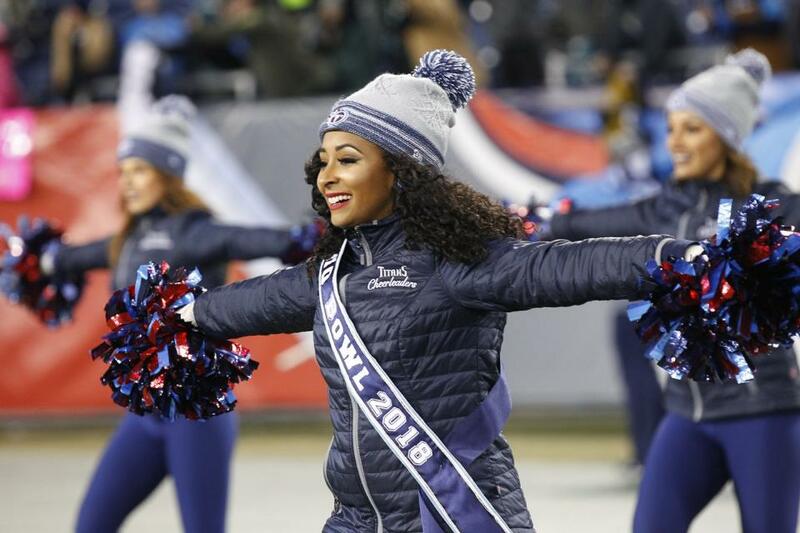 This will be Evony’s second year in a row traveling with ProTour Productions, after spending Super Bowl LI visiting troops in Singapore and the military island of Diego Garcia. 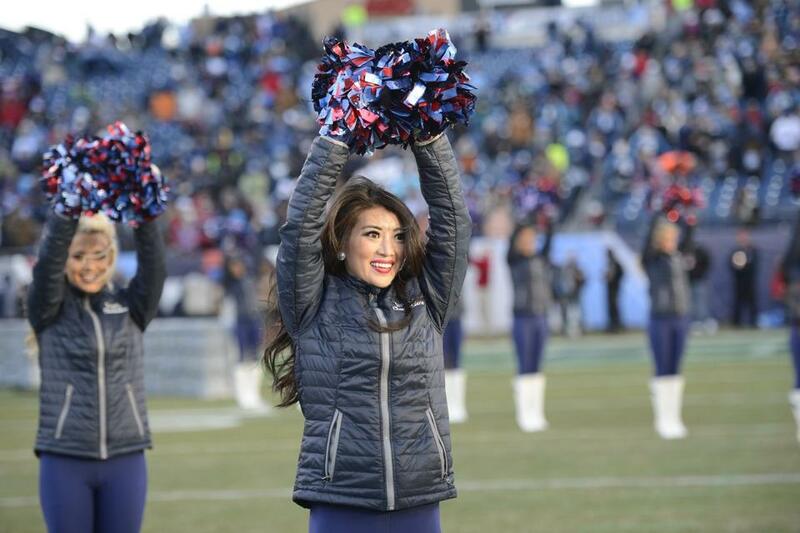 “I still can’t believe I get to travel to these amazing places as a Titans Cheerleader. It is a dream come true,” Evony explains. Our favorite raccoon, T-Rac, is also elated to be traveling to South Korea with ProTour Productions. He will have a very action-packed end of winter, flying straight from a week in Orlando for his 10th Pro Bowl appearance directly to South Korea, where he will be visiting numerous American military bases during the week of Super Bowl LII. 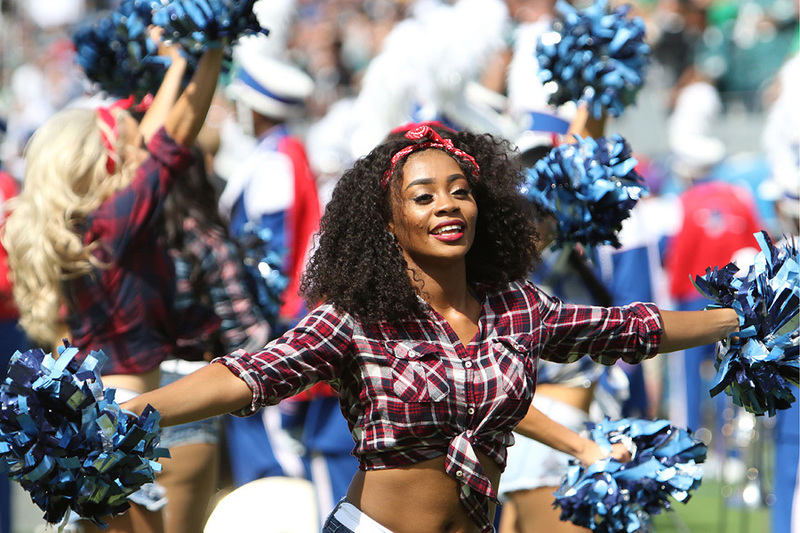 T-Rac will be joined by TTC Captain Jocelyn in Orlando for her first Pro Bowl appearance. 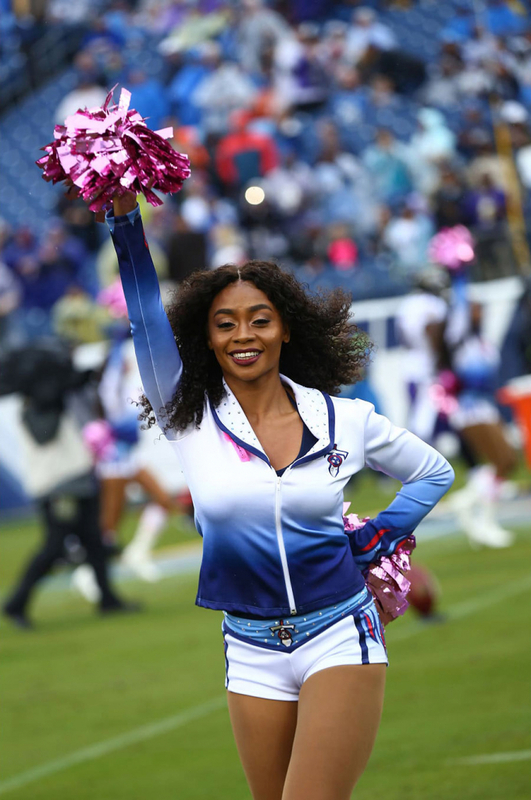 After previously traveling to Guam in 2015, Jocelyn is excited for this new opportunity of being selected as the Tennessee Titans 2018 Pro Bowl Cheerleader. 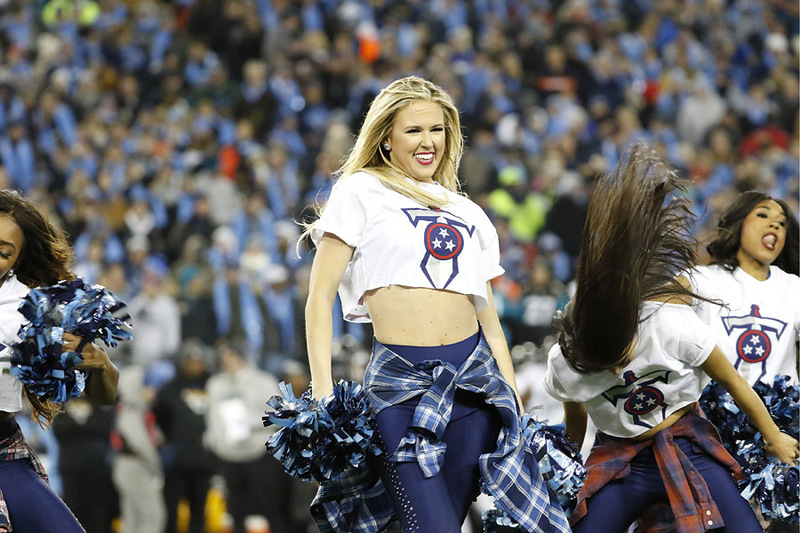 The Tennessee Titans have posted a gallery of cheerleader images from Week 17. Click here to view the gallery. 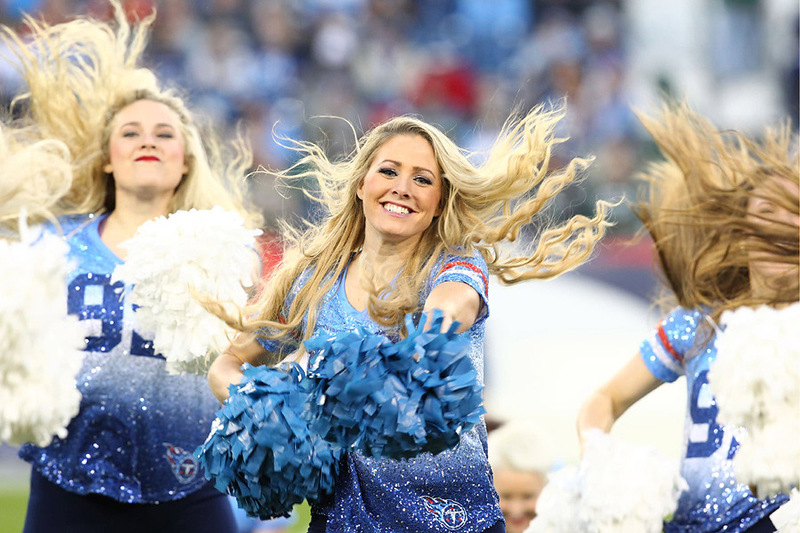 The Tennessee Titans have posted a gallery of cheerleader images from Week 10. Click here to view the gallery. 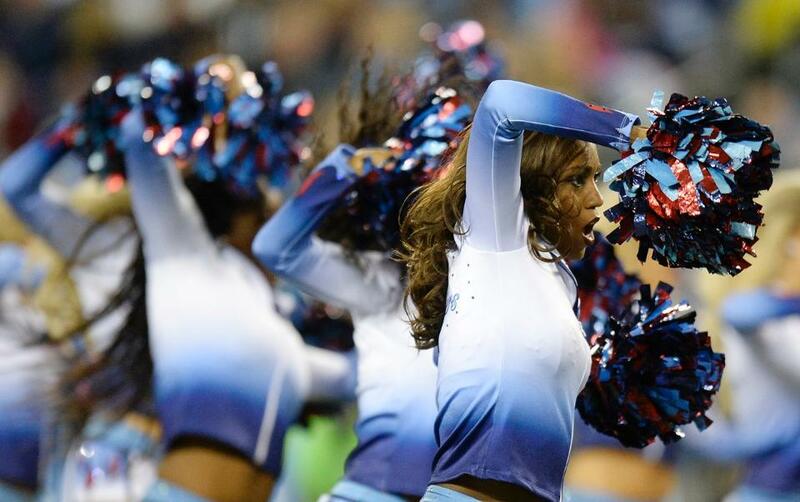 The Tennessee Titans have posted a gallery of cheerleader images from Week 9. Click here to view the gallery. 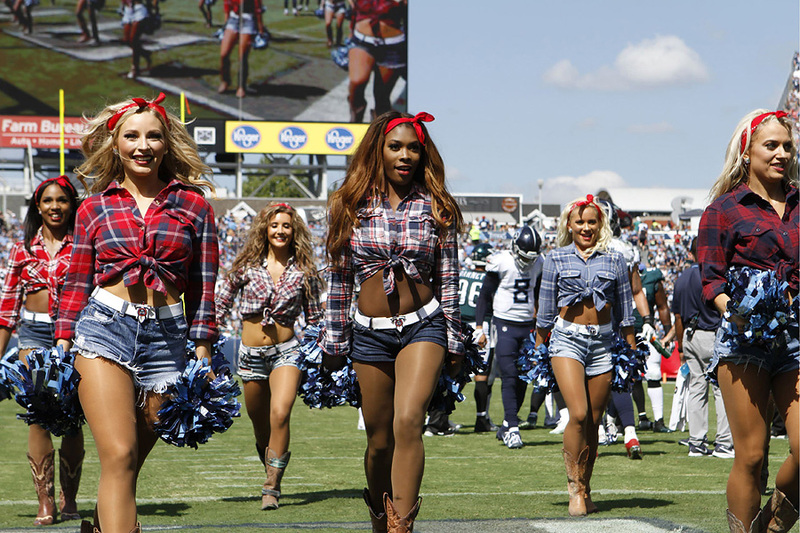 The Tennessee Titans posted a gallery of cheerleader images from Week 6. Click here to view the gallery.